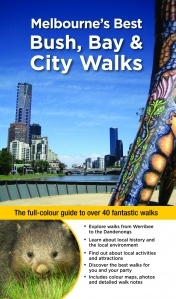 Melbourne’s Best Walks book is now here! Great news! Today, my copy of Melbourne’s Best Bush, Bay and City Walks arrived, which means it is also now available through bookstores, other retailers and online – just in time for Christmas. Do let me know what you think of the walks when you do them! Thanks to all of you who have followed my authoring journey for this book – hope you will stay with me on the blog to whet your walking appetite for my next one, Best Walks of Geelong, the Bellarine and the Great Ocean Road, which will be out mid 2012.